Contains: 15" Flexible pickup tool with mechanical fingers and 17 to 26-1/2" telescoping magnetic pickup tool with 2lbs lifting capacity. 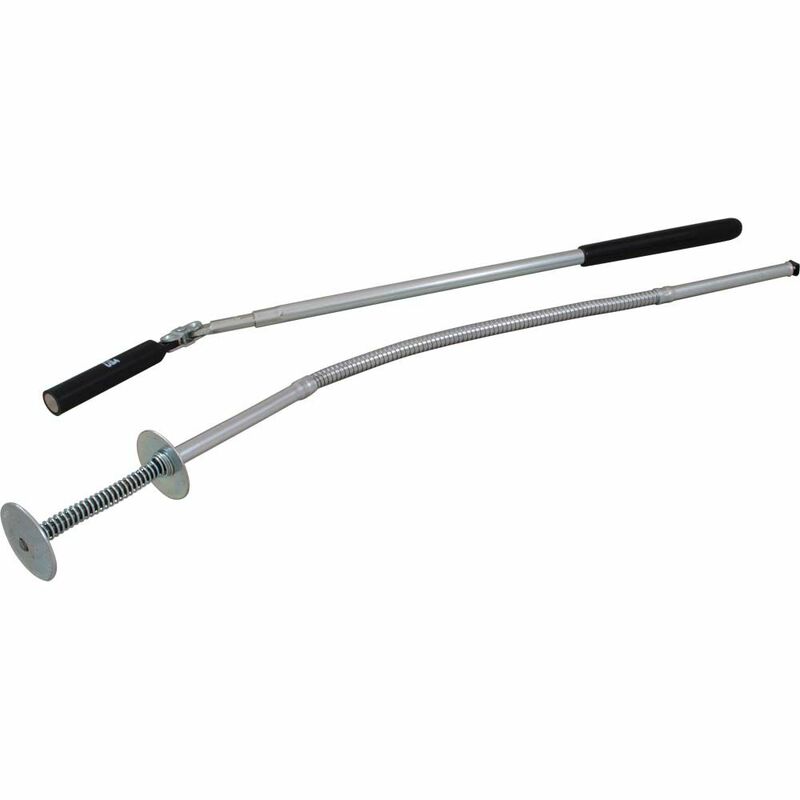 Magnetic telescopic tool has a rotating hinged joint providing extra double manoeuvrability and reach. Contains Everything You Need to Get Started! Kreg Jig Master System, Face Clamp , Portable Base, Material Support Stop, Dust Collection Attachment, Stepped Drill Bit w/Depth Collar, 6 Square Driver Bit, 3 Square Driver Bit, Starter Screw Set, Starter Plug Set, SkillBuilder DVD, Quick-Start Guide PREMIUM ITEMS INCLUDED: SkillBuilder(TM) DVD Video Tips & Techniques Face Clamp(TM) Get Perfectly Flush Joints Dust Collection Attachment Keep a Clean Shop Portable base Pocket-Holes on the Go Material Support Stop Repeatable Pocket-Holes Kreg Jig Master System 3 Tools in 1 Bench top Jig Use as a solid bench top jig for drilling high- speed Pocket-Holes. Portable Jig Place your Drill Guide in the Portable Base to work from anywhere. Compact Repair Jig Use the Drill Guide alone as a flexible and compact jig for repairs. 2 Piece Mechanical Fingers And Magnetic Telescopic Pick Up Tool Set The mechanical fingers & telescopic magnetic pick up tool included in this 2 piece set provide the extra reach and precise grip need to pickup up small parts and objects not easily accessible by hand. Easily reach around obstacles to retrieve dropped parts.